Everyone’s raving about superfoods these days, but did you know that eating them isn’t the only way to reap their benefits? That’s right, which is why superfood skincare is on the rise these days! All you have to do is to keep on reading and you’ll learn more about it. It’s about time you gave your skin exactly what it deserves! First of all: what are superfoods? In case you aren’t familiar with the term, superfoods are nutrient-dense foods good for your health and overall well-being. As simple as that! They are mostly plant-based, but there are also some kinds of fish and dairy that can be listed as superfoods, too. Basically, these are packed with vitamins, minerals, antioxidants, healthy fats, fiber, and many more, which have a lot of amazing benefits. Incorporating them into your diet can significantly improve both your health and the appearance of your skin, which is why more and more ladies absolutely adore them these days. In fact, including superfoods in your everyday meals has been one of the hottest trends for quite a while, which is exactly why cosmetics and skincare brands started to use them in their products as well. Which superfoods can you use in your skincare routine? The good news is that entire brands are being built on the concept of superfoods nowadays, but do you know why is that? Well, it’s due to a fact that consumers are becoming much more aware of what they’re putting into and onto their bodies, which is why they’re turning to much healthier alternatives. For example, seeds like chia, fruits like avocado and pomegranate, berries like cranberries and blueberries, grains like quinoa, algae like chlorella and spirulina, and botanical extracts like green tea and goji berry extract. These are just some of the highly beneficial ingredients that can be found in skincare products these days. There are also cold-pressed oils like avocado, blueberry seed, pomegranate, and chia seed oil, as well as powdered extracts like cacao, seaweed, spirulina, and raspberry powder that can be easily added to your routine and do wonders for your skin. How can you include superfoods in your skincare routine? Incorporating superfoods in your skincare routine has never been easier, simply because there’s a wide range of high-quality products that have those beneficial ingredients in their formula. These can address specific skin issues such as adult acne, so you can always opt for skincare products like a clarifying toner which features green tea extract, an ingredient that has antibacterial properties. It therefore detoxifies the skin and eliminates acne-causing bacteria, which makes green tea extract one of the best superfoods that fight acne. On the other hand, you can also make amazing DIY face masks according to your skin type. So, if your skin is extremely dry, you should definitely use avocado. This fruit is high in oleic acid, which makes it a fabulous moisturizer. Speaking of masks that can reduce the appearance of your wrinkles, you should add spirulina extract to your mixture. It’s rich in antioxidants that neutralize harmful free radicals which contribute to premature aging, so use this superfood in your skincare routine and you’ll see what we were talking about! 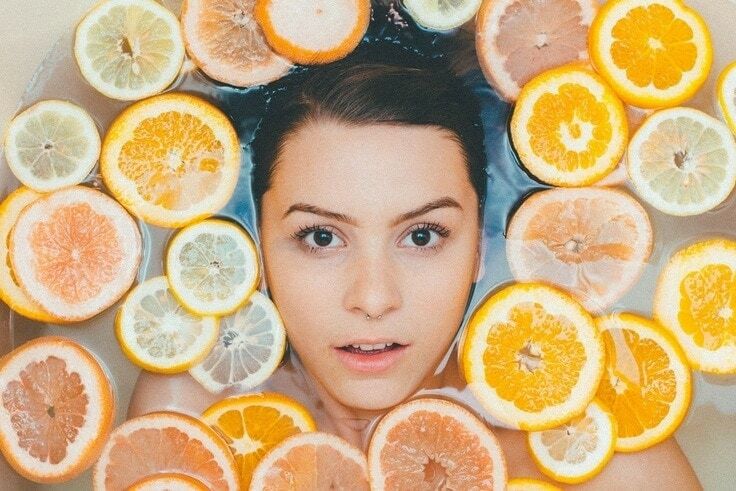 What are the benefits of superfoods in skincare products? 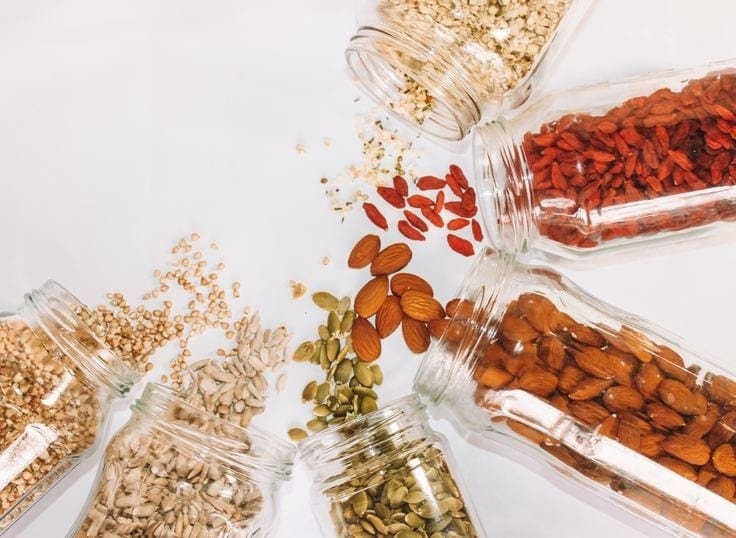 As already mentioned, superfoods have a lot of magnificent benefits that can significantly improve the appearance of your skin and make it healthy, both on the inside and on the outside. For example, almost all berries are full of minerals, vitamins, antioxidants, and fiber, which places them at the top of our list of the best superfoods. On the other hand, avocado is rich in healthy fats that can reduce inflammation and moisturize your skin to the max. If you’re looking for an ingredient rich in both antioxidants and omega-3 fatty acids, which can minimize your wrinkles and reduce the appearance of enlarged pores – chia seeds should be your superfood of choice. These will also hydrate your skin due to their fantastic moisturizing properties, which is why you should incorporate them into your skincare routine as soon as possible! As you can see, superfood skincare has gained a lot of popularity lately for a good reason. Such products bring us back to nature and show us its true powers, and that’s why you should give them a try. You certainly won’t regret it, so take one step at a time and you’ll see an incredible improvement that won’t disappoint you!